Our Storelaunchers Academy is founded and given by experts, who each have their specific expertise in the fashion industry. It is our mission to help our clients get their own clothing brand up and running. Haven’t you figured out how to do this exactly? That’s why you will learn how you to start your own clothing brand, how to sell your clothing to stores or how to manage your social media marketing and many more. I wanted to start my own business since forever. But where do you start? Immediately I nocticed that I had so many questions on which I didn’t know how to resolve them. Quite by accident I met Merchandise Essentials. I didn’t had to think long if I wanted to follow the masterclass. After the general presentation, all the questions I had were discussed and I finally had a clear and concrete answer that would get me started in the business. 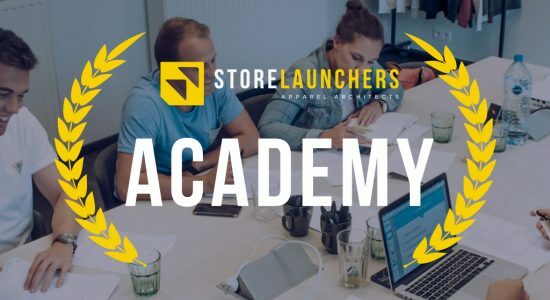 The Storelaunchers Academy is highly recommended for everyone who wants to launch and manage their own clothing brand! » IN OUR MENTORSHIP PROGRAM?